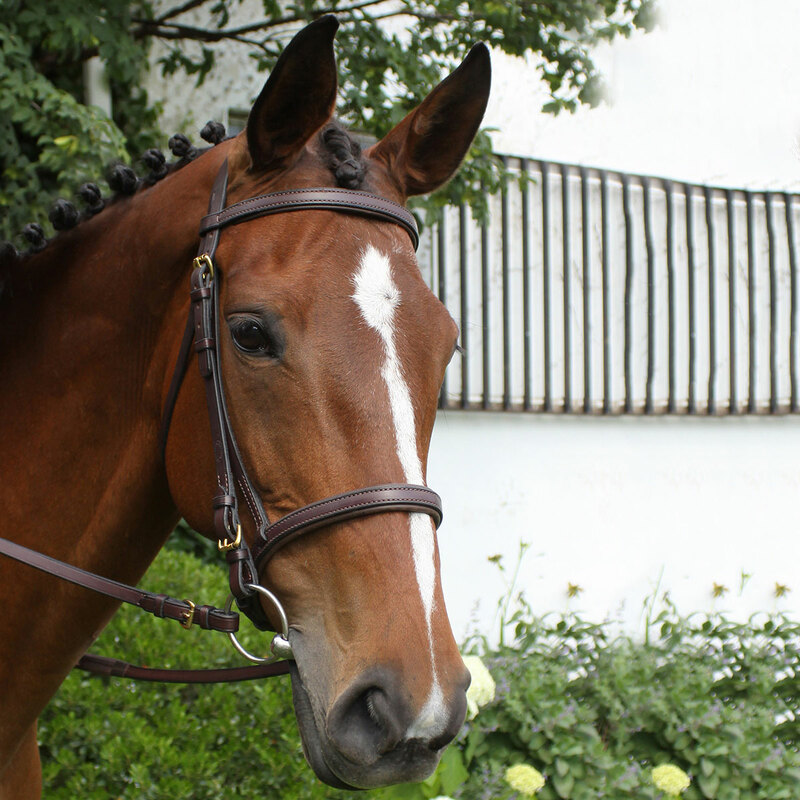 This beautiful bridle will match all of your other Nunn Finer breastplates and leathers. Made of superior quality leather with 5/8" cheeks, padded browband, padded caveson and buckle billet ends. 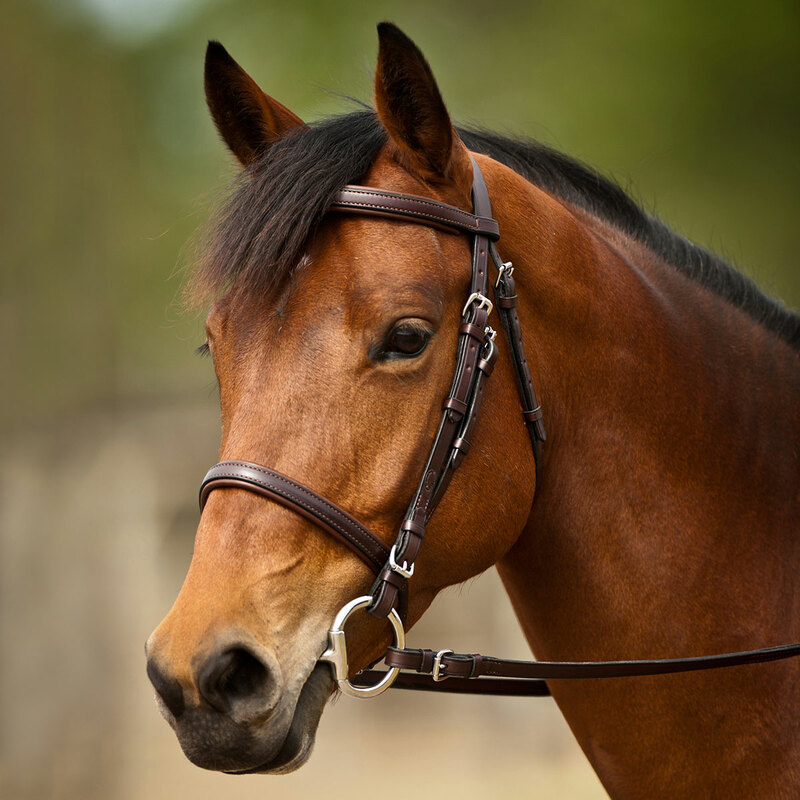 The best-selling Soft Grip reins are now included! Available in Havana with Zinc or Brass hardware.